Antiquities were also forcibly seized by the Nazis. On 25 October 2016, 23 antiquities that had been deaccessioned from the Toledo Museum were controversially sold by Christie’s. As these objects moved from public to private, we were once again forced to grapple with how freakin’ weird the commodification of antiquities makes us feel. What the heck are museums for if they can just sell stuff off? In that same auction, Christie’s sold two 2nd Century encaustic mummy portraits for $187,500 and $125,000 respectively. Unlike most antiquities, these artefacts have a listed succession of non-anonymous owners, a provenance that looks good for pre-1900 and with documentation from 1933 onward. Why? Because in 1933 the mummy portraits were seized from their Jewish owners and sold by the Nazis. Much international discussion about the restitution of Nazi-seized art to Jewish heirs is focused on fine art. There are many reasons for this, none the least that many of the great European art collectors and dealers at the time were Jewish, as were many of the artists that they collected. Plus the price tags on the art are impressive: big money makes big news coverage. Perhaps these portraits are a good place to start. Encaustic mummy portraits come, generally but not only, from the Faiyum area of Egypt; they were attached to Roman period mummies. They are popular on the market because they are personal. The wax and tempera painting technique allows startling realistic depictions of ancient people. They’re specific individuals and their portraits would have been immediately recognisable to family and friends. They have bushy or arching brows, wispy young moustaches, softly curling hair, and full lips. Most of them are young; most of them are beautiful. Through the portraits we can finally look ancient Egypt in the eyes. I love them. You probably love them. Late 19th century Europe loved them. Rudolf Mosse presumably loved them. I mean, he bought two of them before 1920 (the year he died). And Mosse would have bought them on the market. As far as I can tell, based on my limited research while waiting for a plane in the Newark airport, Mosse would have bought these pieces as looted. Christies would like to link the portraits to Egyptologist Karl Brugsch which seems reasonable enough, but there aren’t excavation records for them, so there you go. 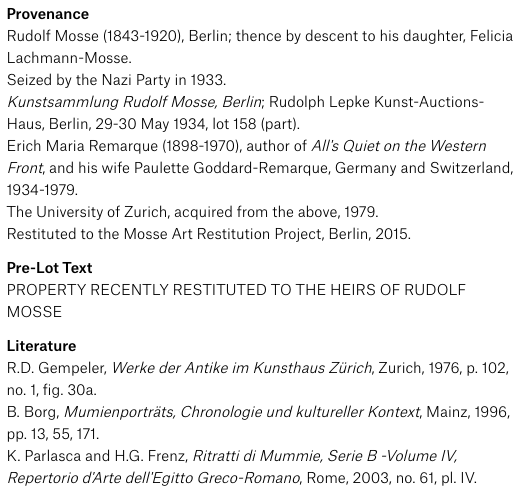 No judgment on that, things WERE different pre-1920 and I’m not going to try to reconstruct the legal situation here without more info, but it looks like the portraits were legally owned by Mosse and thus legally transferred to his daughter Felicia Lachmann-Mosse and her husband. Remarque bought the portraits…but when? He was exiting Germany at the time too. Via Wikipedia. They weren’t legally transferred to the Nazis in anyone’s opinion but the Nazis. When Lachman-Mosse and her family fled Germany in 1933 the Nazi’s seized their assets and in 1934 the mummy portraits were sold at auction. ** To Erich Maria Remarque. Really. Remarque. All Quiet on the Western Front. Yep. Plot twist. This is pretty interesting because 1934 wasn’t a great year for Remarque. In 1933 his books were officially banned in Germany and were burned. Reading the writing on the wall and the writing in the bonfire, the author moved to Switzerland that year…the same year that Lachman-Mosse and her family also left Germany. 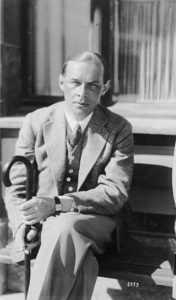 By 1938 Remarque’s German citizenship had been revoked; in 1939 he remarried his ex to prevent her deportation; in 1939 they moved to the United States where he eventually gained citizenship. Remarque’s younger sister Elfriede Scholz was not so lucky: she was found guilty of “undermining morale” and beheaded in 1943. But despite all this, Remarque, it appears, was buying art on the cheap. He bought those two mummy portraits. He didn’t gain good title to them, no, but he bought them. I’d love to hear more about the conditions of that sale and how much Remarque paid. I’d like to hear how the piece got from Germany to Switzerland. I’m hitting my airport lounge provenance research limits though. 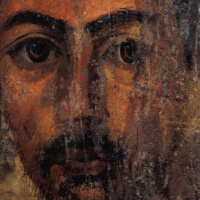 In 1979, his widow sold the portraits to the University of Zürich’s Institute of Archaeology. Not no provenance! You don’t usually see this on antiquities folks. From Christie’s. And those fine Archaeologists at University of Zürich gave the mummy portraits back to the Mosse family. Did they put up a fight about restitution? No they did not. They instigated the return. The University of Zürich did a proper provenance review of the portraits, discovered their history, and contacted the heirs of Lachman-Mosse. The Uni and the heirs had a chat and they swapped a financial donation for teaching at the Uni for the portraits. Everyone wins, including Lachman-Mosse. Just a little bit of justice. Perhaps the only downside is that much like the Toledo Museum artefacts, the portraits have now moved from public to private. The Mosse family chose to sell the pieces, likely because they need to split the proceeds among several heirs and also, I assume, to help pay for lawyer fees and fund their further restitution efforts. That’s their business, but unless they happened to have been bought by a museum (probably not), we’ve lost them to the market. Someone could chuck them in the fireplace tomorrow and we would be powerless to stop it: we wouldn’t even know it had happened. These ancient faces, the only tangible remains of two whole lives, and the Mosse/Remarque/Uni Zürich restitution story will be lost. Dear the fabulously wealthy, let’s gather your tax-break donation budget together and make a museum of Holocaust art that buys repatriated objects from heirs at a fair price and moves them into public trust. We can feature the art alongside their provenance stories: the families, their losses, and their battle for justice. Fantasy land, sure, but I’ve been traveling for 36 hours and all of my thoughts are tinged with magic at this point. More WWII artefact restitution stories please! *I’d supervise that PhD here at Glasgow. It’s funding season, potential students, so get on it. **Note that in it’s initial press release in 2015 the Uni said it couldn’t pin down Remarque’s purchase date. Christie’s puts his purchase solidly in the 1934 sale but for reasons that should be immediately obvious I don’t trust Christie’s provenance department one little bit. It seems very likely that someone else bought the portraits in that sale and Remarque bought them at a later date because, really, I’m not sure how the author would access the sale from Switzerland. Papers or it didn’t happen.